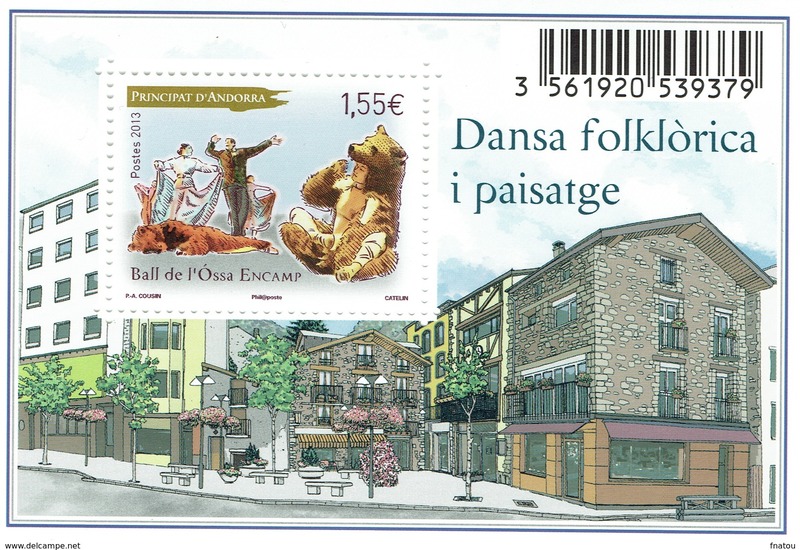 Andorra Sp C4 sheet,MNH.Michel 183 bogen. Bishop of Urgel Ramon Iglesias,1985. 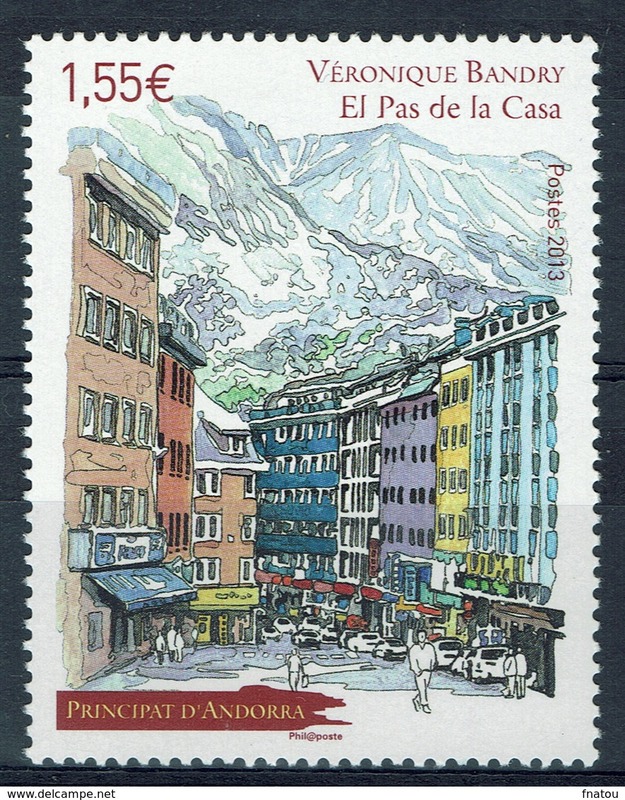 Andorra Sp C3 sheet,MNH.Michel 179 bogen. Pyrenees Art Center,1984. Andorra Spanish C1,lightly hinged.Michel 58. Air Post 1951.Plaza of Ordino. 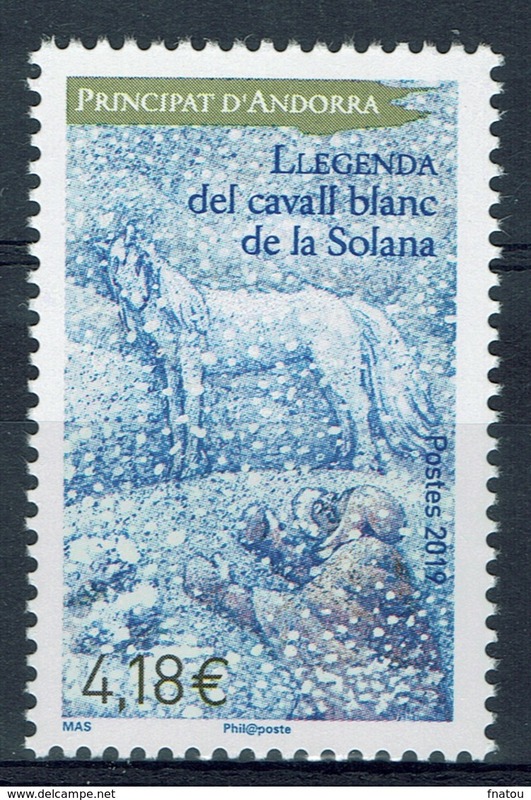 Andorra Sp 343,MNH. Vall del Comapedrosa,2008.Cows. 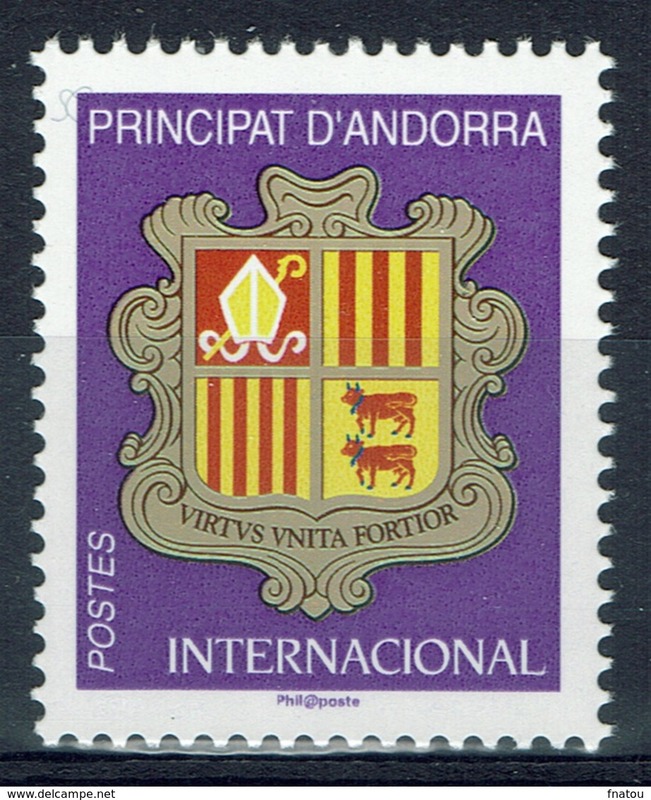 Andorra Sp 340,MNH. Andorrian Science Society,25th Ann.2008. 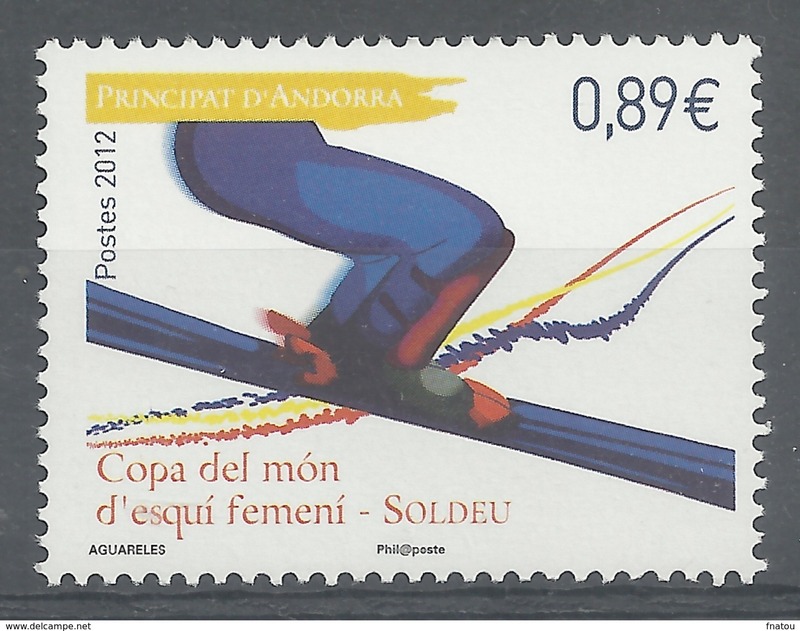 Andorra Sp 339,MNH. EUROPE CEPT-2008.Letter. 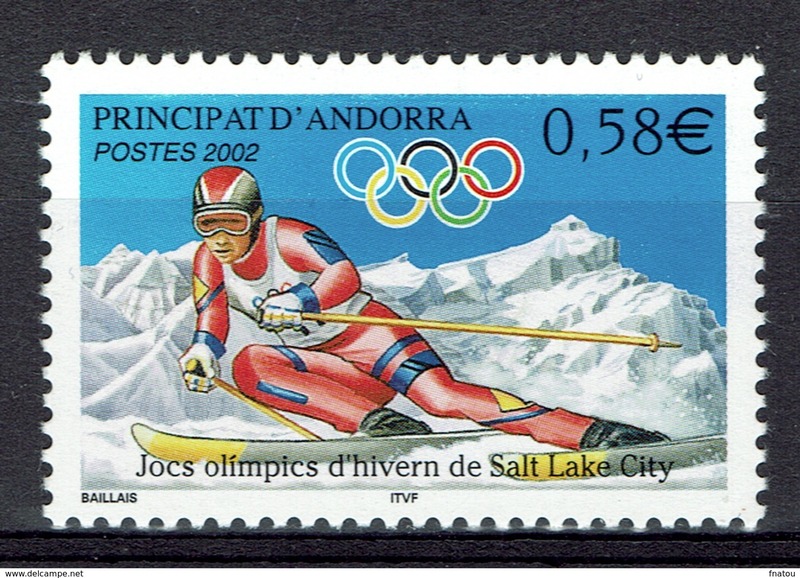 Andorra Sp 322,MNH. EUROPE CEPT-2006.Integration. 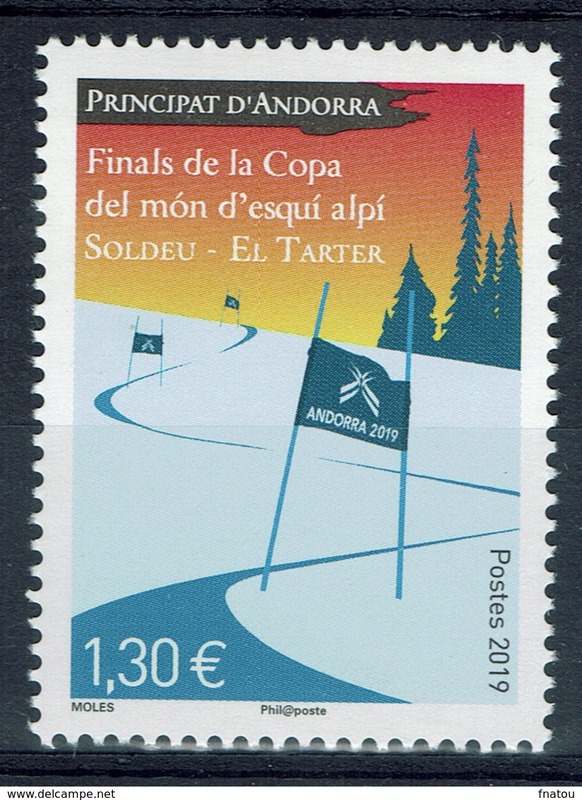 Andorra Sp 313,MNH. EUROPE CEPT-2005.Painting of Food. 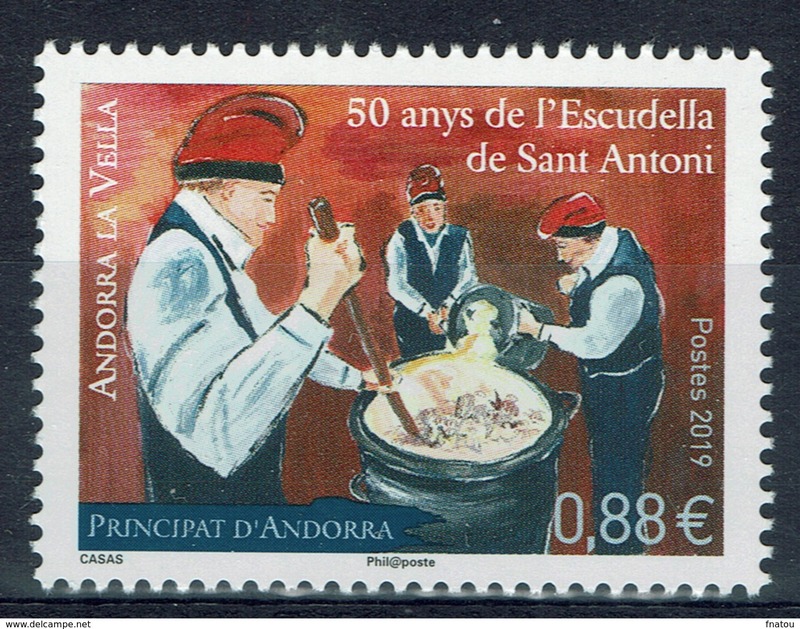 Andorra Sp 301,MNH. EUROPE CEPT-2004.Vocation.Automobile. 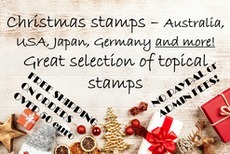 Andorra Sp 299-301,MNH. Art by Joaquim Mir,2004. 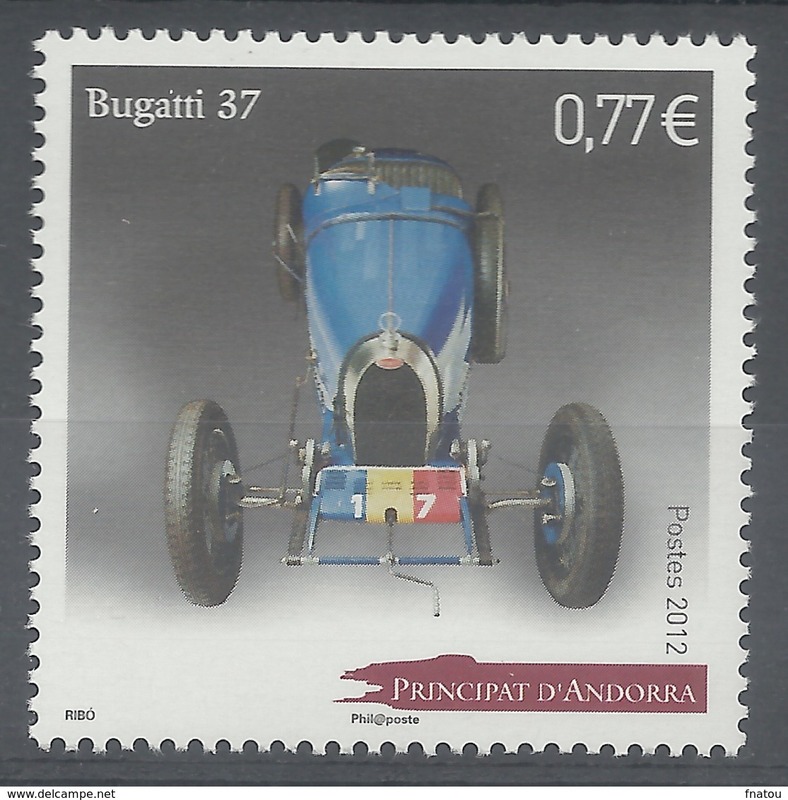 Andorra Sp 287 ac,MNH. Artistic heritage 2002.Religious murals,St Coloma Church. Andorra Spanish 271, MNH. EUROPA CEPT 2001. 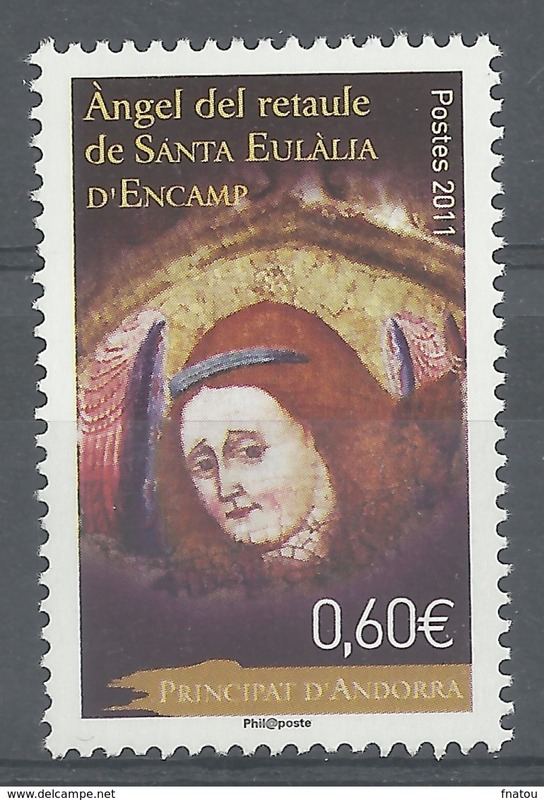 Andorra Spanish 269, MNH. Christmas 2000. Andorra Sp 254-255,MNH. Museums of Andorra,1999.Early bicycles. Andorra Spanish 251, MNH. Michel 260. Marual Digest, 250th Ann. 1998. 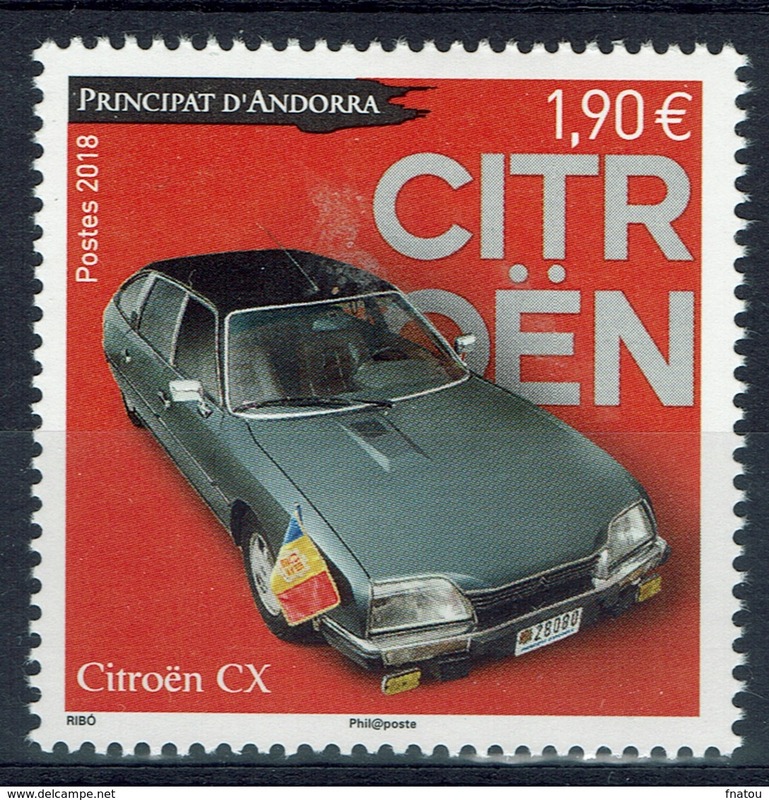 Andorra Sp 250,MNH.Michel 259. 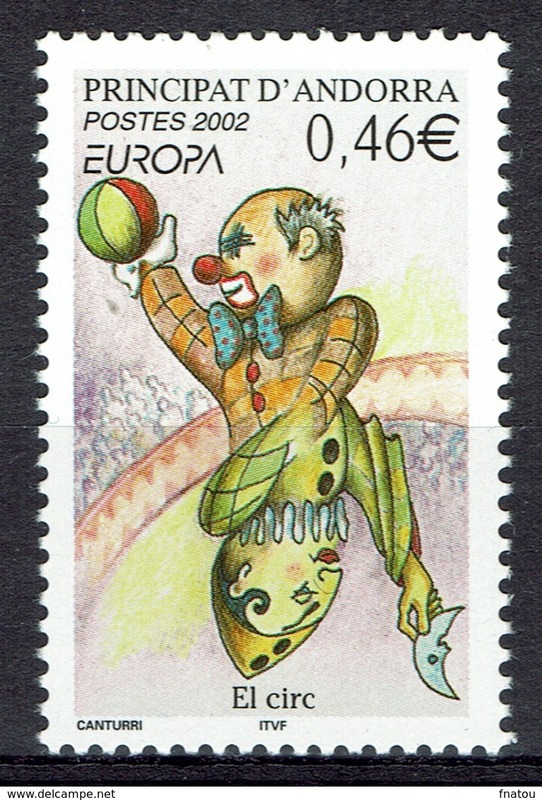 EUROPE CEPT-1998:Harlequins,Carnival. Andorra Sp 230,MNH.Michel 239. Mushrooms 1994:Hydrophorus Gliocyclus. 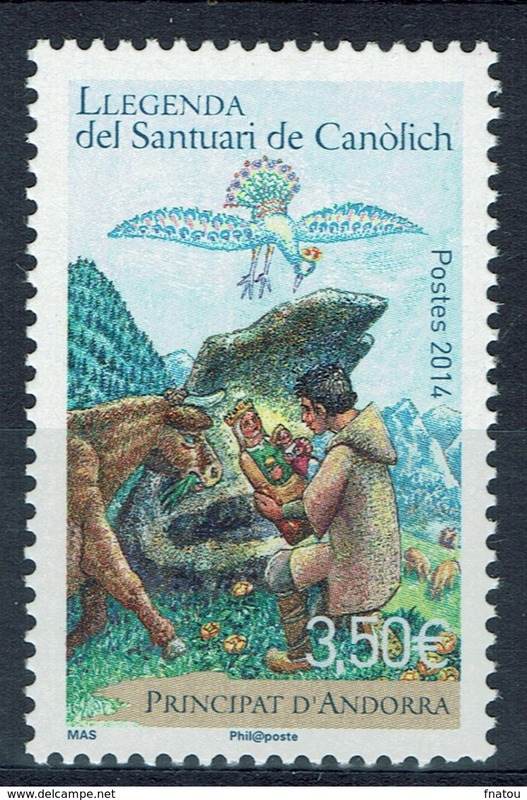 Andorra Sp 227,MNH.Michel 236 Bl.3. Constitution,1st Ann.1994. 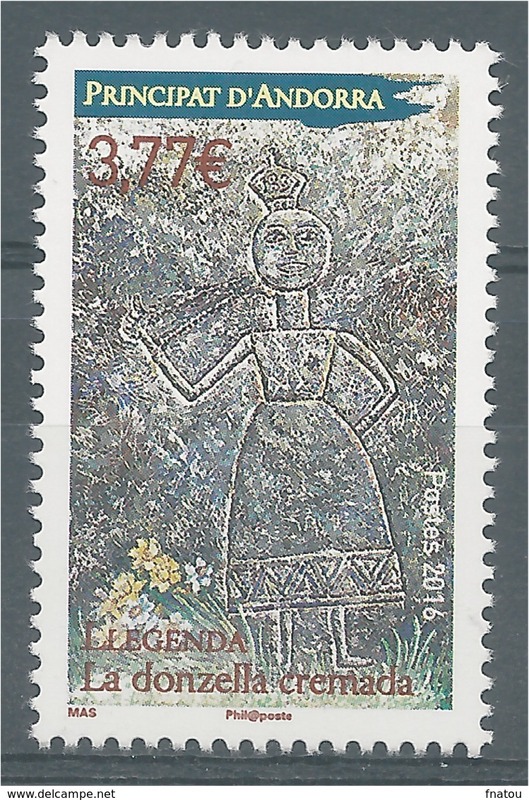 Andorra Sp 223-224,MNH.Michel 232-233. EUROPE CEPT-1993.Contemporary Art. 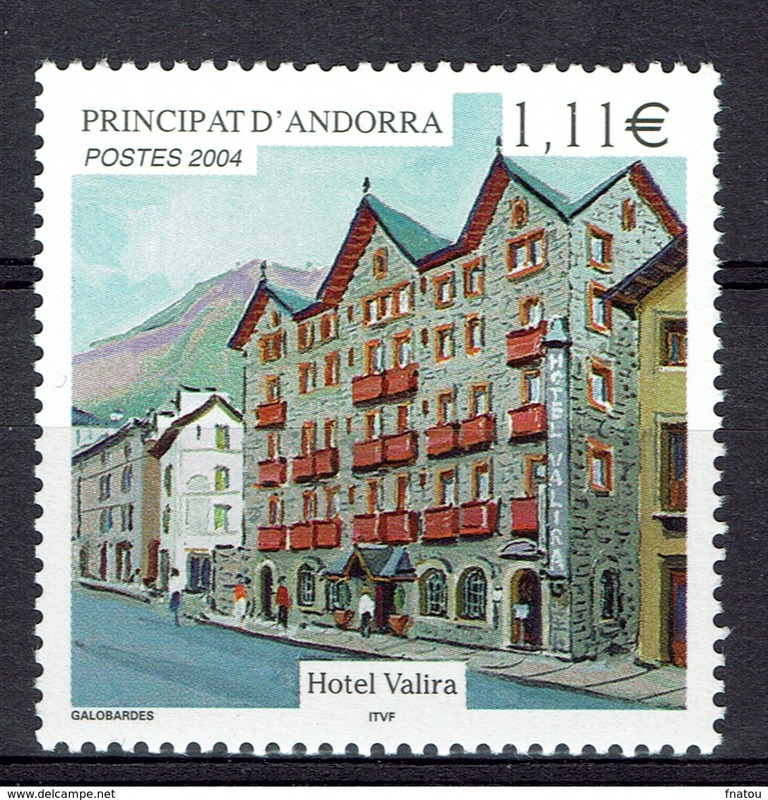 Andorra Sp 210-211,MNH.Michel 219-220. 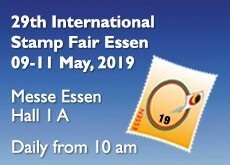 Discus,High jump,runner. Andorra Sp 207,MNH.Michel 216. Mushrooms 1990:Gomphidius Rutilus. Andorra Sp 202,MNH.Michel 211. Santa Roma Church,Les Bons,1989. Andorra Sp 200-201,MNH.Michel 209-210. EUROPE CEPT-1989:Children's Games. 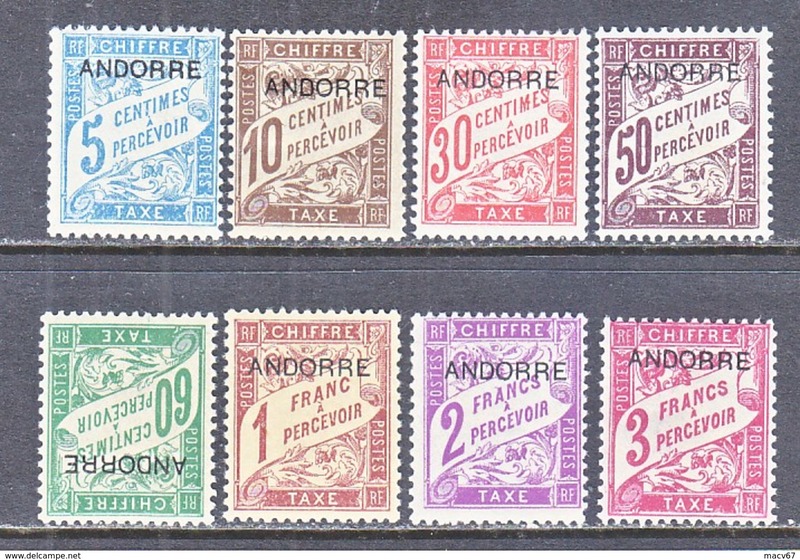 Andorra Sp 192-195 without Pta,MNH.Michel 205-208. National Arms,1988. Andorra Spanish 187, MNH.Michel 203. Bishop of Urgel and Seigneur of Caboet, 700th Ann.1988. 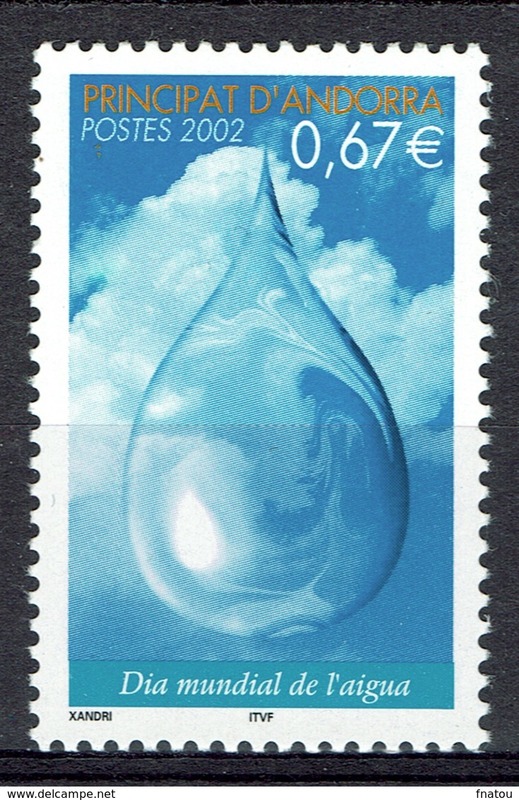 Andorra Sp 184-185,MNH.Michel 200-201. EUROPE CEPT-1988:Medieval road,Mules. 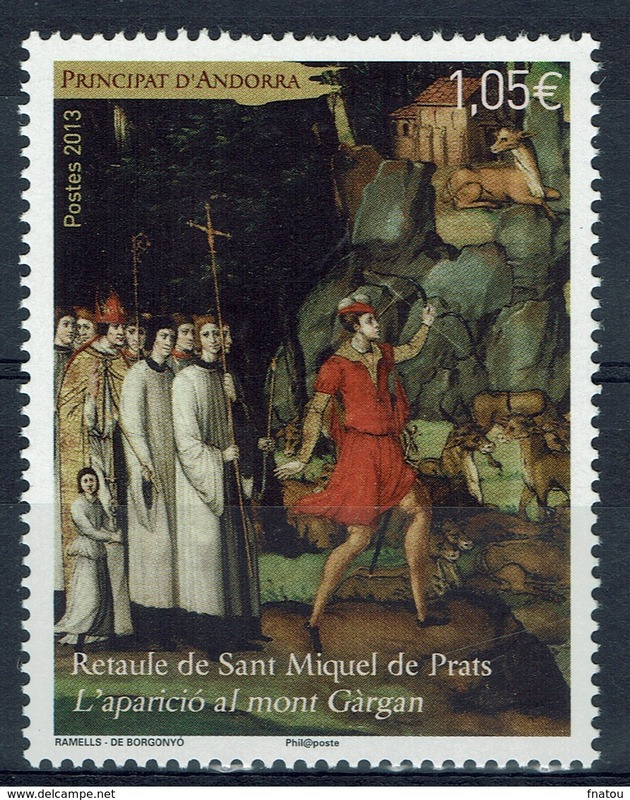 Andorra Sp 183,MNH.Michel 199. Lance,Arrowhead,Bronze Age.1988. 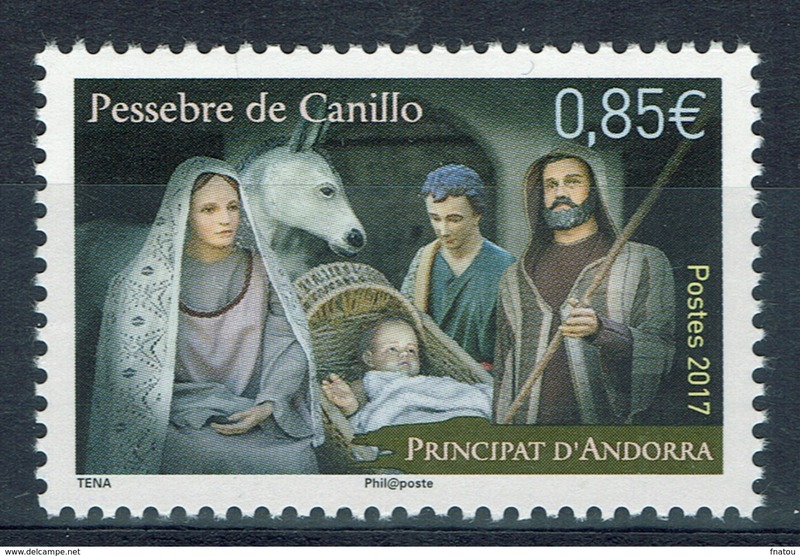 Andorra Spanish 182,MNH.Michel 198.Christmas 1988.Catalan manuscript. 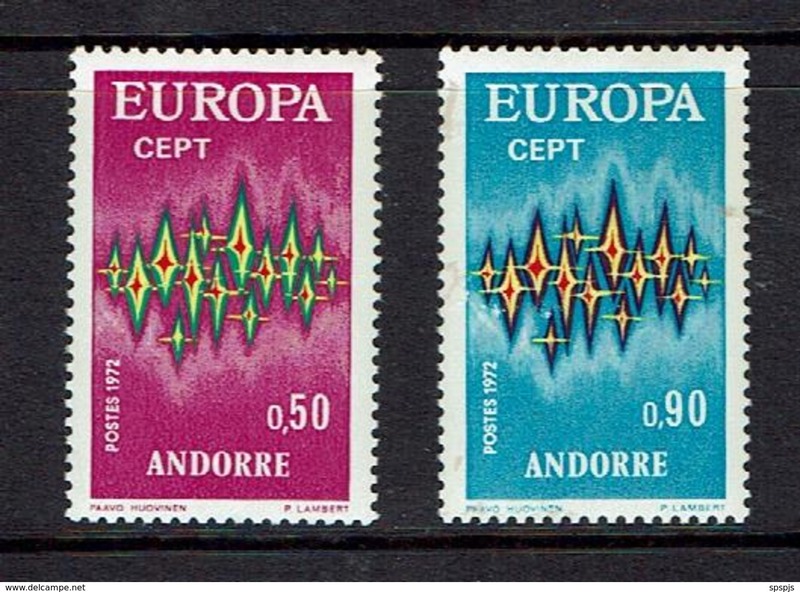 Andorra Sp 181,lightly hinged.Michel 197. Mushrooms 1987:Boletus edulis. Andorra Sp 179N EXPO sheet. EUROPE-1987.Architecture. 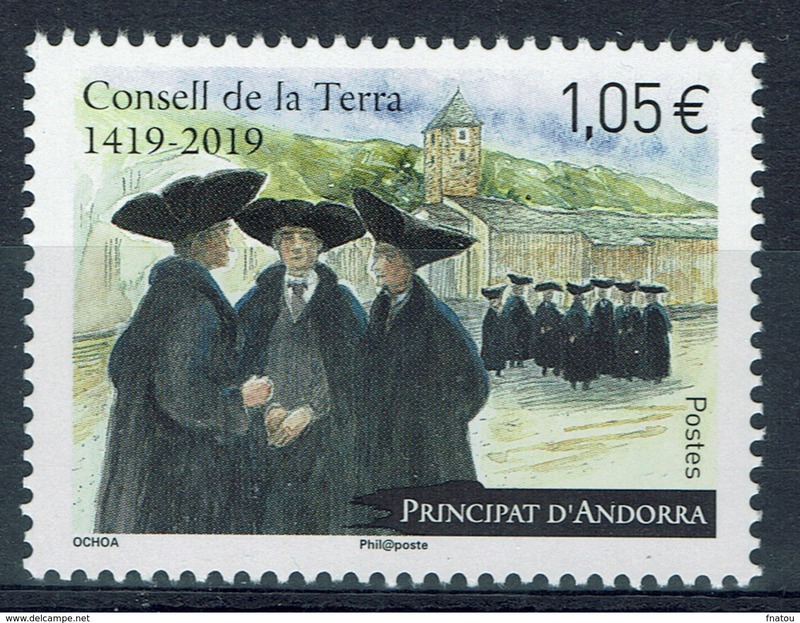 Andorra Sp 178-179,MNH.Michel 193-194. EUROPE CEPT-1987:Modern Architecture. Andorra Spanish 176, MNH.Mi.191.Christmas 1986.Santa Roma de Les Bons Church Bell. 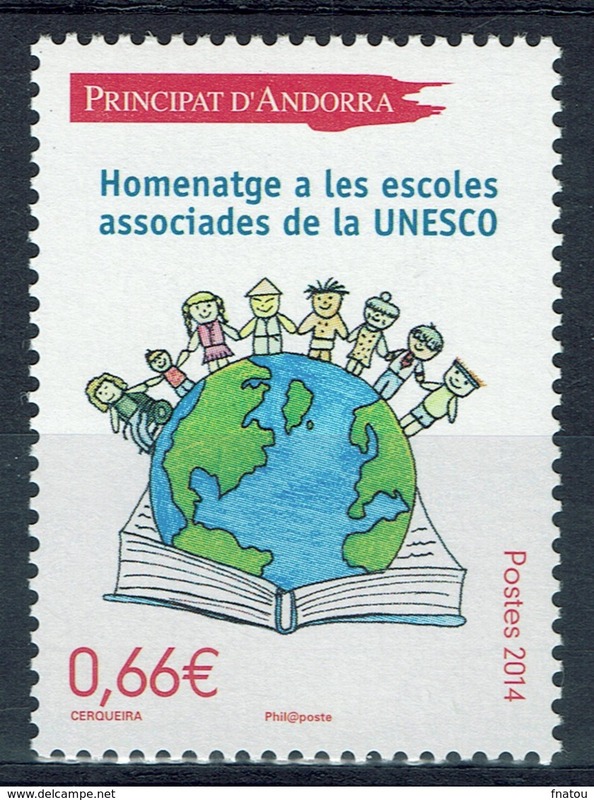 Andorra Sp 175,MNH.Michel 190. Bishop Justi Guitart,1986.